A user-friendly application for optimizing an editing photos. 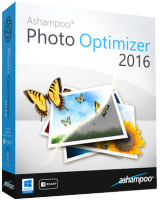 Ashampoo Photo Optimizer 2016 was available as a giveaway on April 13, 2016! The program includes all common image editing features plus batch-processing support. 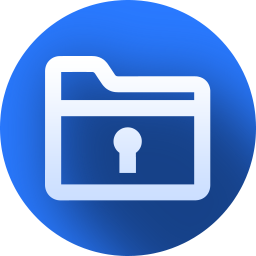 The backup feature allows to undo all modifications if required. The integrated live preview lets users see all modifications in detail. Ashampoo Photo Optimizer 2016 focuses on the essentials to keep the program handling intuitive and comprehensible. How would you improve Ashampoo Photo Optimizer 2016? Ashampoo Photo Optimizer 6 revitalizes your photos at the click of a button effortlessly. Optimize colors and contrasts, adjust the sharpness, remove scratches and noise and realign your photos - fast, simple, no prior knowledge required. Upgrade price for GOTD users (from within Ashampoo Photo Optimizer 2016): $7.99 instead of $19.99. Tested and liked the results but when I added it to the send to menu it crashed every time I tried to use it. Tested and liked the results but when I added it to the send to menu it crashed every time I tried to use it. Uninstalled. As a test attempted to install it into XP, it correctly informed me that it could not work version of the OS. It is not because Microsoft do not support XP any longer but because there are basic functions in the operating system that were not in XP. A good example levelling sound output say when the video music just about blows your head off. It installed without difficulty in Windows 7, not my favourite interface but usable, the effects are easy to control and even at maximum the sharpness the control produced good results. A pretty handy program if you're not particularly experienced working with images. My favourite image processing program is about 20 years old, used because it's like comfortable old shoes, like my OS. As a test attempted to install it into XP, it correctly informed me that it could not work version of the OS. It is not because Microsoft do not support XP any longer but because there are basic functions in the operating system that were not in XP. A good example levelling sound output say when the video music just about blows your head off. It installed without difficulty in Windows 7, not my favourite interface but usable, the effects are easy to control and even at maximum the sharpness the control produced good results. A pretty handy program if you're not particularly experienced working with images. My favourite image processing program is about 20 years old, used because it's like comfortable old shoes, like my OS. I have Ashampoo Photo Commander 12. Which program is the most advanced? What are the new features available here beyond Ashampoo Photo Commander 12. David, You know not what you are talking about when you say "This is a full license". All Ashampoo offers whose version is described by the year (i.e., 2016) are a special giveaway version that does not contain the features of the current official release. It may be close, but more often and not, it is representatitve of an older release version (v5 vs v6, for example). Angel, Dir you read all my comment before replying? No Win XP Support? No thank you! Brian Wilson, You might want to try upgrading you system. XP is fast becoming a dinosaur in the computer realm. Brian Wilson, More and more software won't support XP. Even my 90 year old parents upgraded to Windows 7 a while back! You'll love Win 7 and 10! Name anything Win 10 does better than XP other than spy on the user and report back to MSFT. Manfred, Name anything Win 10 does better than XP other than spy on the user and report back to MSFT. Manfred, You can have my Win XP when you pry it from my cold dead hand. :) I do use Win 7 at work and it is ok, but the Virtual Desktop was a major step backwards from Win Xp in that you can't start a process in one desktop and move it to another. Win 8.X doesn't even have this feature. Windows has been regressing the features and functions available to users in favor of useless and annoying interface changes that no one wants or needs. The issue of Windows security is a joke to Microsoft. I just don't see a need for spending hundreds of dollars for a new computer to run the upgrade (which costs a few hundred dollars more) that will destroy my existing software installs (which will cost a few thousand dollars to replace), reduce the features I use, requires expensive new software purchases and retraining because Microsoft decided to play "hide the option" with the user menus. If I want to spend a few thousand dollars, I'd take a nice vacation to a warm topic, not spend my evenings swearing at Microsoft while I try to update or reinstall my software. Thanks for the suggestion, but since the new OS versions don't offer anything I need, I'll stick with what's working just fine for me (also the other product offered does support Win XP). Not all manufacturers have decided to dump on their customers. Manfred, You can have my Win XP when you pry it from my cold dead hand. :) I do use Win 7 at work and it is ok, but the Virtual Desktop was a major step backwards from Win Xp in that you can't start a process in one desktop and move it to another. Win 8.X doesn't even have this feature. Windows has been regressing the features and functions available to users in favor of useless and annoying interface changes that no one wants or needs. The issue of Windows security is a joke to Microsoft. I just don't see a need for spending hundreds of dollars for a new computer to run the upgrade (which costs a few hundred dollars more) that will destroy my existing software installs (which will cost a few thousand dollars to replace), reduce the features I use, requires expensive new software purchases and retraining because Microsoft decided to play "hide the option" with the user menus. If I want to spend a few thousand dollars, I'd take a nice vacation to a warm topic, not spend my evenings swearing at Microsoft while I try to update or reinstall my software. Thanks for the suggestion, but since the new OS versions don't offer anything I need, I'll stick with what's working just fine for me (also the other product offered does support Win XP). Not all manufacturers have decided to dump on their customers. Harry, People said that about my Win 3.11 for workgroups, but oddly enough my 486 DX system is still running just fine and the software I use on that machine (which I can't get for later OS versions) is also still working just fine. Brian Wilson, It is not possible to upgrade XP. Manfred, Programmers who respect their customers, make programs for all popular versions Vinovs from XP to 10. In an ideal - even for Unix-based sistemma, MAC and "Android". Manfred, Programmers who respect their customers, make programs for all popular versions Vinovs from XP to 10. In an ideal - even for Unix-based sistemma, MAC and "Android". You did forget to mention it is often necessary to change your computer peripherals hardware when drivers are no longer available after updating. Windows 3.11, you lucky man, that means you can use Word 6 and its incredible Word Basic macro language. VP-Expert a great expert systems program with the wonderful Whenever clause. There are horses for courses and it's up to the user which horse he chooses. Brian Wilson, You will probably have the wrath of the OS police hounding you for such heresy, a brave man. ;-) You did forget to mention it is often necessary to change your computer peripherals hardware when drivers are no longer available after updating. Windows 3.11, you lucky man, that means you can use Word 6 and its incredible Word Basic macro language. VP-Expert a great expert systems program with the wonderful Whenever clause. There are horses for courses and it's up to the user which horse he chooses. Ivan, Yes but they can't be expected to support every OS ever made ... For example: WIndows 3.1, 95, 98, 2000 especially when so few people even use it anymore ... Do you think Ford still manufactures parts for the Model-T?? XP is now the Model-T or Windows 3.1 of its time! Time to move into the current age! The sooner you get current the less painful the transition to the modern age will be!! Would you be surprised to discover that some of the major banks in the UK still use Windows 2000 and XP for many of their main systems? I used to work in IT Support of one of these banks, can't say which due to disclosure clause and all that sort of stuff, but 2000 is widely used because it would cost too much to upgrade their software to run on newer OS. Manfred, Would you be surprised to discover that some of the major banks in the UK still use Windows 2000 and XP for many of their main systems? I used to work in IT Support of one of these banks, can't say which due to disclosure clause and all that sort of stuff, but 2000 is widely used because it would cost too much to upgrade their software to run on newer OS. The problem in supporting older versions it is in fact that there are new functions in OS versions. When the developer takes advantage of these new functions then the program will not work in older versions of the OS. The developer doesn't have to go out of his way to make it work with XP as long as it doesn't call functions which XP cannot use. As an example when Microsoft change from 3.1 to Windows 95 some of the functions were not carried across into Windows 95. This meant that word basic macros tried to make calls that were not available, hence macros written for word basic and 3.1 would no longer work in Windows 95 directly. Manfred, The problem in supporting older versions it is in fact that there are new functions in OS versions. When the developer takes advantage of these new functions then the program will not work in older versions of the OS. The developer doesn't have to go out of his way to make it work with XP as long as it doesn't call functions which XP cannot use. As an example when Microsoft change from 3.1 to Windows 95 some of the functions were not carried across into Windows 95. This meant that word basic macros tried to make calls that were not available, hence macros written for word basic and 3.1 would no longer work in Windows 95 directly. 1) First, update "WindowsXp" to "Window-Vista"
2) Then "Window-Vista" to "Windows7"
(did not check, I have "WindowsXP" on my computer), and on a new laptop "Windows7-64bit". Otherwise, you will have to buy programs, and it's expensive when you have hundreds of them. Salvia, To update "WindowsXp" to "Windows7" without reinstalling the programs installed for the action (share), you need to do the following (taken from the Internet): 1) First, update "WindowsXp" to "Window-Vista" 2) Then "Window-Vista" to "Windows7" (did not check, I have "WindowsXP" on my computer), and on a new laptop "Windows7-64bit". Otherwise, you will have to buy programs, and it's expensive when you have hundreds of them. How does today's Giveaway compare with Ashampoo Photo Optimizer 5, which was offered here on November 4, 2014? Aryeh Naiman, usually with Ashampoo products, versions with years are crippled compared to versions with numbers. But Photo Optimizer 2016 is probably a crippled version of Photo Optimizer 6, not 5. My guess is that the only advantage of this one compared to version 5 is compatibility with Windows 10. But it is only a guess as I will pass this one and stick to my certainly more fully featured version 5. They (Ashampoo) had always been 'heavy' on advertising (e-mails), but having and keeping Account with them has advantages of having handy (in 'My Ashampoo') every License Key of every Product (including GOTD) in case their Software has to be re-installed. That's the plus of it, they don't pass Customer's addresses to anyone else in my humble observation. Finally according to their site - Version 6 is stated as Successor of both 5 and Ashampoo Photo Optimizer 2016. Hi, for easier access to it and perhaps some useful past Comments (like Registration issues/logging into Ashampoo Account, giving e-mail address a.s.o) go here: https://www.giveawayoftheday.com/ashampoo-photo-optimizer-5/ Photo Optimizer 6 can be found here: https://www.ashampoo.com/en/usd/pin/1157/multimedia-software/photo-optimizer-6 Previous version - Photo Opitmizer 5 here: https://www.ashampoo.com/en/usd/pin/0857/Multimedia%20Software/Ashampoo-Photo-Optimizer-5 Version 5 given here 2 years ago was 53.6 MB in size, today's Giveaway is 31.8 MB, so in case one wants to keep the other one and this somewhat 'lighter' version - it has to be installed into a different path (I have 5 and fully updated 6 in different locations and that's allowed) They (Ashampoo) had always been 'heavy' on advertising (e-mails), but having and keeping Account with them has advantages of having handy (in 'My Ashampoo') every License Key of every Product (including GOTD) in case their Software has to be re-installed. That's the plus of it, they don't pass Customer's addresses to anyone else in my humble observation. Finally according to their site - Version 6 is stated as Successor of both 5 and Ashampoo Photo Optimizer 2016.